Hello Happy Weekend! I was so bummed when I went to my faithful photo editing software Picmonkey and found out it wasn’t free anymore! 😦 So bear with me till I find one that I am happy with! If you have any recommendations, I will take them. This one is called Fotojet, and I only had a few minutes to play with it, so the verdict is still out if it’s a keeper! This card was made with Verve stamps and or Free digis that Julee is so gracious to give out so often. 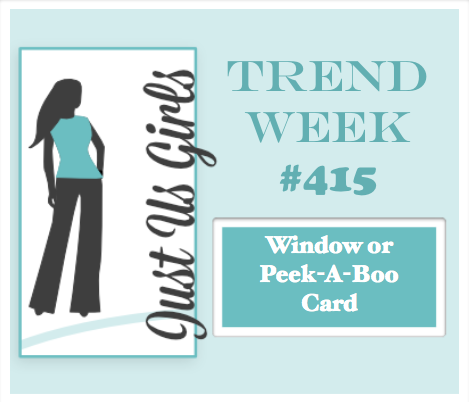 The challenge over at JUGS is to make a Window or Peek A Boo Card. How fun are they! Categories: Cards | Tags: Card making, Cards, love, rubber stamps, stamping, Thinking of you | Permalink. What a great card design. I love it with those colors too. Yummy coffee colours Nancy. Great layout and die cuts. Now i need a coffee! Great coffee card, Nancy. I went with iPiccy. It works similar to PicMonkey and is free. I’m not fluent but if you have any questions just ask. Hi Nancy, I second Bobby in using iPiccy. Free and works great! 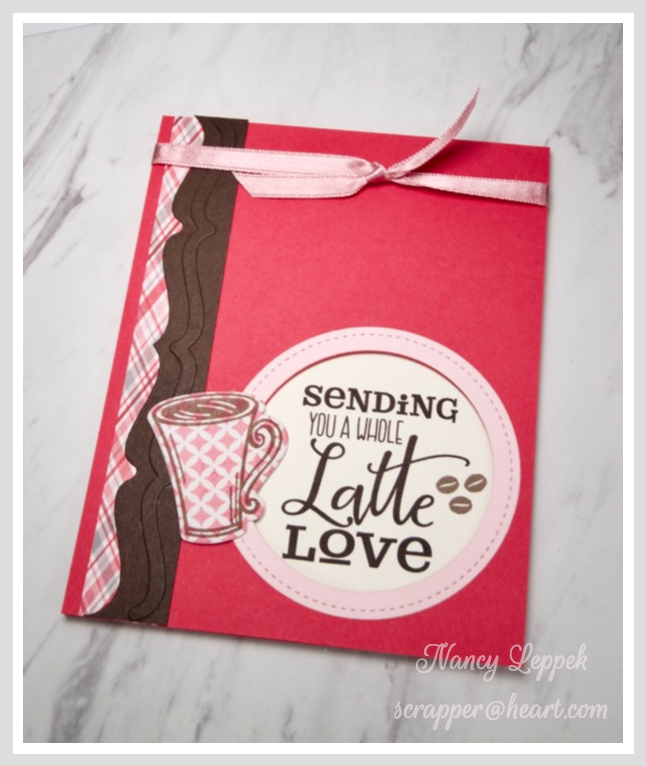 As for your card: love it a latte! Super cute card. I love your choice of patterned papers, and I’m such a fan of pink and chocolate. They just go together so well. I have just found a new photo editing program called PhotoScape X, and I really like it. It’s free….Donna told me about it. The more I play with it, the more I like it. There is a version for Mac. Good luck!!! I love your design on this sweet card! Love the patterned cup and that big sentiment in the window. That strip of plaid paper really finishes this off perfectly. Very cute coffee card. Love the fun colors and the strip of plaid.